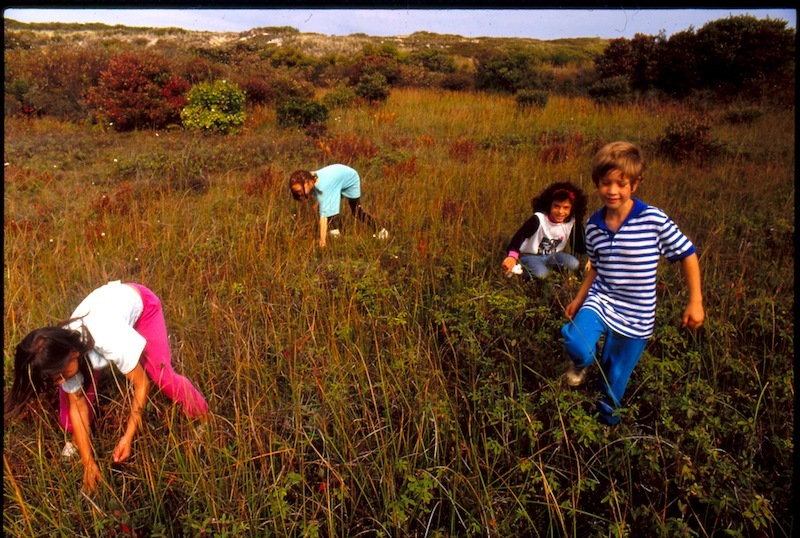 Wampanoag tribal children at Cranberry Day, 1990. For thousands of years, cranberries were an important food source for the Wampanoag communities. Sasumaneash, or “sour berries,” were easily stored and would help families get through the winter. Local tribes also used them for dyeing fabric and treating wounds. As a rich source of vitamin C, they helped protect whalers from scurvy on their long journeys at sea. Between the late 1800s and the 1930s, cranberries on the Vineyard were harvested by the barrel and sold in New Bedford. Asa Peters, a member of the Mashpee Wampanoag tribe, patented a machine for separating cranberries from sticks, leaves and grass. One of his machines is on display at the Aquinnah Cultural Center. The Gay Head harvest declined greatly after the hurricane of 1938, which flooded the bog with salt water and divided it into smaller pockets. But every year on Cranberry Day, members of the tribe still head down to the main bog at the intersection of West Basin and Lobsterville roads to gather cranberries and give thanks for the harvest. and later to the Wampanoag tribal building for a potluck dinner Tuesday. About 60 people stood in a circle and held hands as Aquinnah medicine man Jason Baird offered a prayer before the meal. Tribal families and people from around the Island had brought food to the gathering, which included drumming and dancing. Cranberry Day is the tribe’s last major gathering of the year, and marks the beginning of the harvest season. Children are allowed a day off from school to take part in the celebration. Although the cranberries were sparse following a dry summer, the sense of community was strong, with people of all ages joining the celebration. Ms. Washington remembers hearing stories from her parents about earlier celebrations. “In the homestead there was a little alcove in the second floor. They would put a board in the opening and they would pour the cranberries in there because it was nice and cool. And as long as it wasn’t too cold they would last,” she said. She remembers that when she was a child, the oldest man in town was designated as the cranberry agent. His job was to walk down to the bog and announce when the cranberries were ready for harvesting. Today at Cranberry Day some tribal members still use wooden cranberry scoops that were handed down to them through generations. The scoops are box-like with a handle on top and prongs along the bottom that separate the berries from the branches. 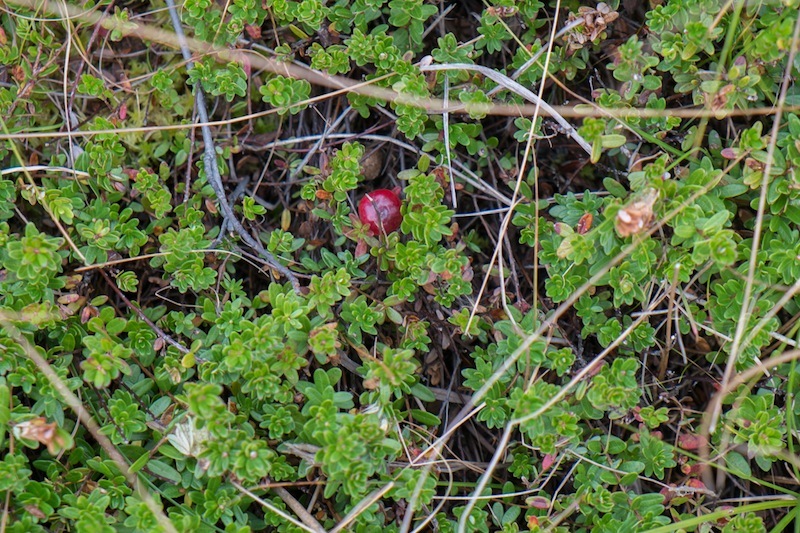 There are more than 20 cranberry bogs of varying size owned by the tribe in Aquinnah. The celebrations take place at the main bog, near the beginning of West Basin Road. 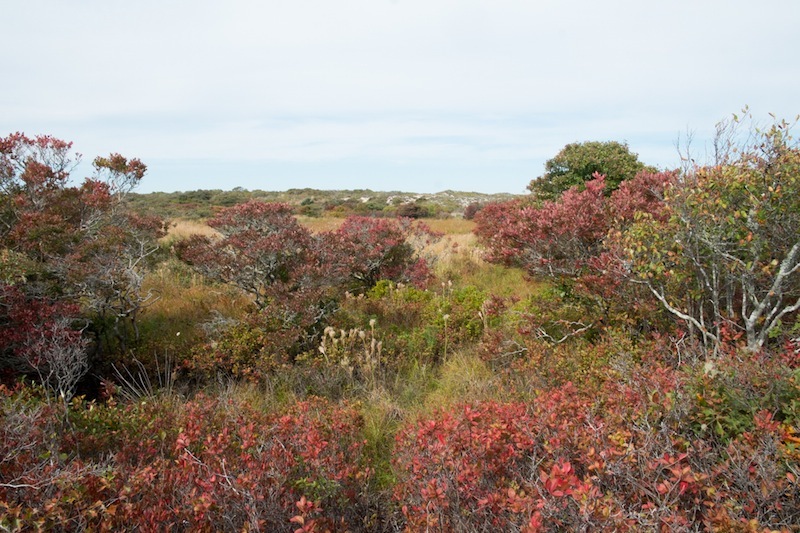 The bogs are maintained naturally by the tribe’s natural resources department, which removes invasive plants and other vegetation every year to allow for growth. Ms. Washington said the local cranberries are more tart than the ones you would find in a store, and also more colorful, with red, yellow and green berries. Tribal members make breads, relishes, jams and other foods during the harvest. Cranberry Day is one of the tribe’s four major gatherings throughout the year, along with the spring social, family day and the summer powwow. My spirit is there with you and I wish I were too. Hope the day and the celebration are all wonderful. My family and I used to be there many summers and early Fall at the Stikney cottage next to the Morris' place. I loved it there and have many many wonderful memories of GAY HEAD...........AND ANY ONE I EVER MET THERE.. My best wishes to all.